Have a safe and happy spring break! 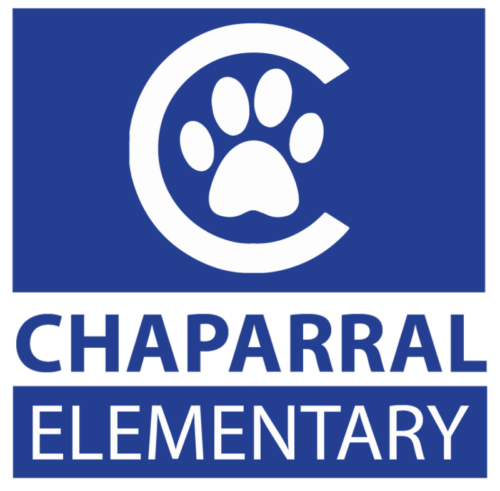 We will see you back at Chaparral on Monday, April 22! I scream, You scream, We all scream for Italian Delis and Ice Cream! On Wednesday, April 24, join us at Cricca’s and/or Cup & Cone to support Chaparral— 15% of sales generated will be donated to Chaparral! 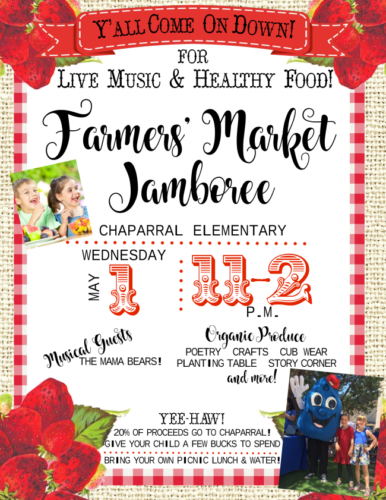 Join us Wednesday, May 1 from 11 a.m. to 2 p.m., for the Farmers’ Market Jamboree at Chaparral. There will be live music and healthy food. Click here for more details. Is Winter over yet? It’s April, and spring has finally sprung. We are sure that everyone is looking forward to sunshine and our famous 70 degree temps returning every day. Our 12th annual Online Auction was a huge success, raising over $85,000! Our deepest gratitude to our amazing chair, Allyson Watson, for her tireless work and dedication to our far-reaching and exciting auction. 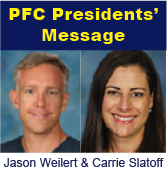 Read the entire Presidents’ message here. 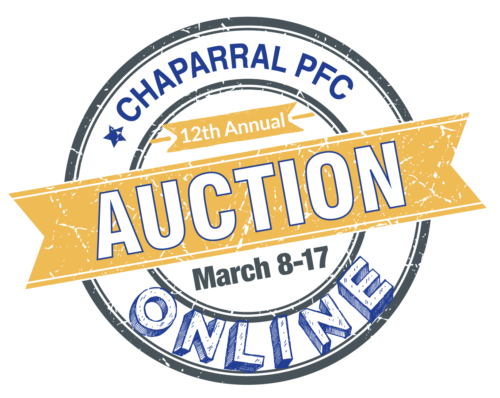 Our 12th annual Online Auction was another HUGE success bringing in over $85,000. Congratulations and a million thanks to our amazing Auction Chair, Allyson Watson, for giving so much of her time and energy over the past many months to ensure such an exciting and successful auction! 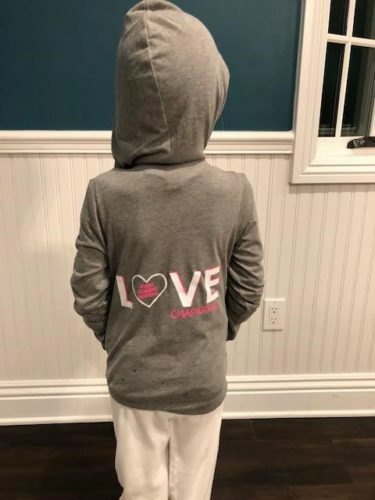 Thank you to all of the families that donated items and hosted parties and to all of the teachers and staff who donated special experiences that our kids love so much. 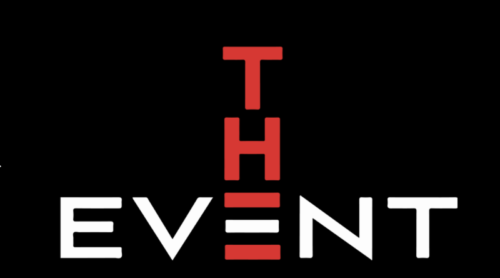 The family parties raised $18,640, the Teachers, Staff and Chaparral Exclusives raised $12,845. Finally, thank you to everyone who bid and congratulations to all of the winners! 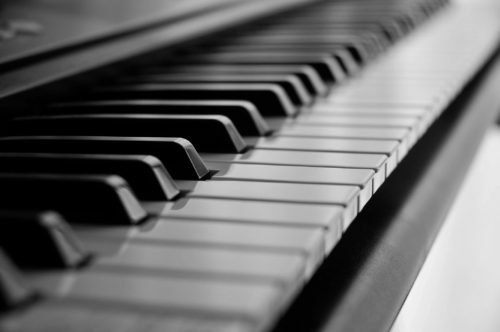 We are looking for a parent or grandparent who plays the piano and would enjoy accompanying the Chaparral Cub Choir on Tuesdays, from 12:45 to 1:15 p.m. Chaparral’s 4th and 5th grade students are eager to sing and are very excited to be part of the choir. If you are interested in volunteering for 30 minutes once a week, please contact Mrs. Chaffee at bchaffee@lvusd.org. Please continue to collect those non-expired Box Tops. We’ll let you know when to turn them in. All of the Box Tops collected will be added to an ongoing tally for each class AND family throughout the school year. Who will be the BIG winner?! Cub Wear Hoodies and T-shirts on SchoolPay! Head over to SchoolPay to get the latest Cub Wear designs. T-shirts and Sweatshirts are available for online purchase. Purchases can be picked up in the PFC Office on M & Th mornings from 8-9:30am. Please contact Deborah Shapiro with any questions about Cub Wear. Thank you for purchasing Cub Wear and showing your school spirit! If you are looking for a way to help families who were impacted by the Woolsey Fire please go to www.LVFireRelief.org to help with monetary donations. 100% of all donations received will go directly to the affected families. LVFR was started by parents in our district who teamed up with the YMCA to help make an instant 501(c)3! Therefore, all donations are tax-deductible and families will not be taxed on the contributions they receive. The school district is also in support of LVFR. At this time the donation center is currently in need of luggage and medium or large storage bins with lids. Due to the overwhelming response, they can no longer accept clothing and gift cards. 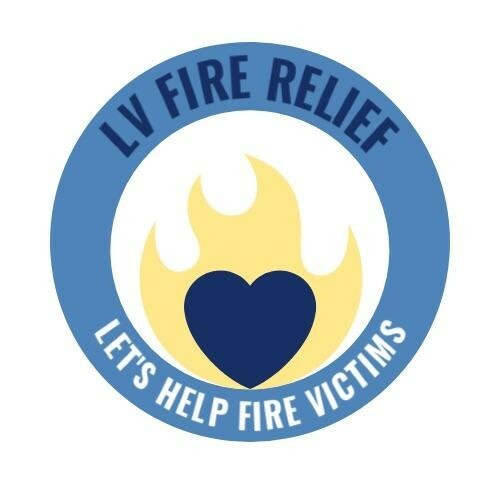 Even if you cannot help financially, you can help by telling all your friends and families from out of the area that www.LVFireRelief.org is the best place to donate at. 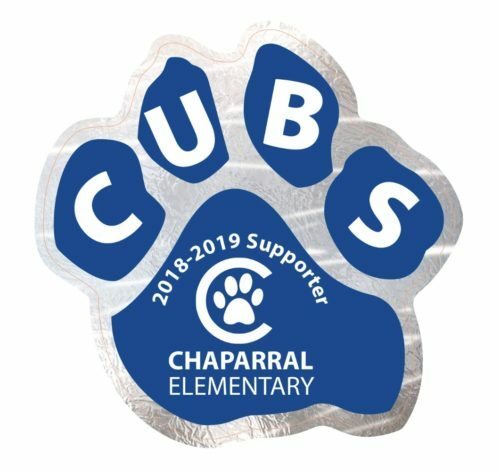 Together, we have raised more than $197,000 for Chaparral! Thank you to all of our families who donated, and congratulations to the classes with 100% participation – Ms. Gourley & Mr. Ross – for a tremendous accomplishment!! Our overall school participation was 86%. A BIG THANK YOU to our Donor Drive VPs, Amy Gray and Susan Harrison, who have tirelessly worked many hours to ensure the success and smooth execution of our biggest fundraiser of the year for the past 5 years!! Learn more about Donor Drive, levels and benefits, and how it supports Chaparral. Just a reminder that the Free or Reduced Lunch Program is available to all families. This is completely confidential and is now online for enhanced privacy and security. 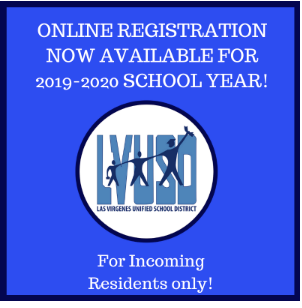 Filling out the application online will not only provide nutrition services to your student(s), but it will help the District comply with new regulations from the state. Families, please apply here. Please contact Waleska Cannon, director of Child Nutrition, with questions. The GreenTeam will begin in October. If you are interested in being a rep for your room please follow your teacher’s guidelines on how to be chosen. The GreenTeam will remain open to all students who are interested in coming to our meetings. Looking forward to a productive year saving the earth! For more information, email Ms. Cioffi.